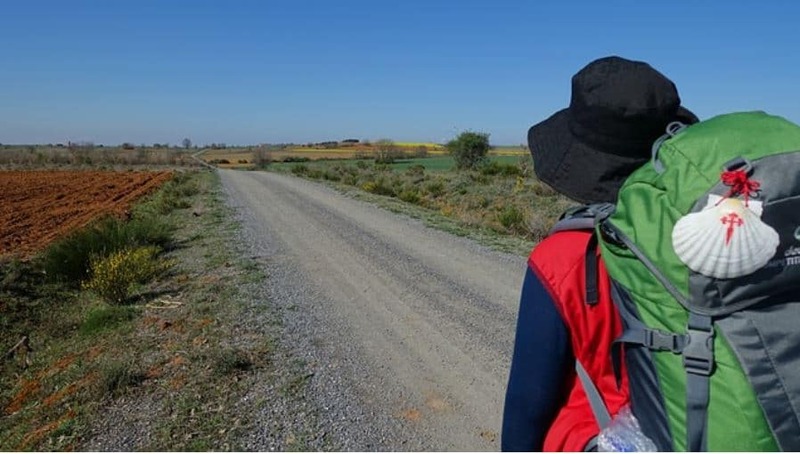 The Camino de Santiago ( literally ‘The Way of Saint James’) is a UNESCO World Heritage Site formed from a variety of pilgrimage routes that is enjoyed by hikers, cyclists and organized tour groups such as Santiago Ways. It is believed that the remains of Saint James were transported from Jerusalem and buried in the cathedral of Santiago de Compostela in Galicia in northwestern Spain.The remains of the saint were discovered in 812 AD and since then, the pilgrimage has been conducted by millions of people since the middle ages. Traditionally the pilgrimage starts from your home, although a number of alternative starting points have evolved over the years including locations in France, Portugal and Spain. Over 300,000 pilgrims per year of various backgrounds travel by foot, bicycle and a few even on horseback or by donkey! Some pilgrims see it as a deep spiritual experience, while others walk the route simply for travel or sport.The main route that is most widely travelled is the Camino Francés (French Way) which extends 780 km from St. Jean-Pied-du-Port near Biarritz in France to Santiago; other popular routes that join the Camino Francés include the Camí de Sant Jaume from Montserrat near Barcelona, the Ruta de Tunel from Irun, the Camino Aragones, the Camino de Levante from Valencia and Toledo and the Camino Primitivo from Bilbao and Oviedo. Other Spanish routes include the Camino Inglés from Ferrol and Coruña, the Camino Portugues from Oporto and the Via de la Plata from Seville and Salamanca.The main pilgrimage paths to Santiago originated from an earlier Roman trade route, which continues to the Atlantic coast of Galicia. The scallop seashell, found on the Galician shores has become the symbol of the pilgrimage and is seen on road signs along the trail and most pilgrims carry a shell which was traditionally used as a cup for water. In addition, pilgrims often carry a hooked staff to assist them as they walk. Legend has it that the Milky Way is actually formed from dust agitated into the air by the pilgrims’ footsteps.On arrival at the cathedral, pilgrims place their hands on a pillar just inside its doorway; in fact, so many have done so over the years that the stone is now visibly eroded. The Compostela is a certificate of accomplishment given to all pilgrims that have walked at least 100 km or cycled at least 200 km; this makes Sarria (111 kms away) the most popular starting point for walkers. The pilgrim passport, known as the credential, also needs to be stamped at least once a day. Pilgrims have traditionally been protected by the highest regal and religious powers and a number of hostels and eateries along the routes are free-of-charge to pilgrims.The Camino de Santiago is a once-in-a-lifetime experience that has the possibility to provide both religious and spiritual benefits as well as the enjoyment of travelling through the beautiful landscapes of northwestern Spain.